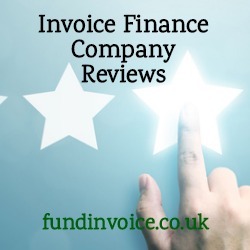 Looking for invoice finance company reviews online? This might be helpful as I have pulled together all the online customer review ratings that I could find, the details are below. Trustpilot reviews - an independent review organisation that contacts customers that the company provides. They calculate a score based on the ratings and age of the reviews. The score is out of 10. Feefo reviews - similar to Trustpilot, but the score is out of 5. Google reviews - ANYONE can post a review on Google about a company that is listed (so some reviews may not be from customers). The ratings are averaged and are out of 5. I also looked at the home page of their website, and any obvious pages where there might have been something about customer reviews listed. So in some cases there were pieces of research mentioned, that they had conducted themselves, or had used a third party to conduct. Where providers were part of a larger group, and there was no separate score found for the division, product or subsidiary, it has not been recorded in the table below. A word of caution, please consider the scores in the context of the number of reviews, if there are very few reviews the results will not necessarily be reliable. Also bear in mind that anyone, not just customers, can post Google reviews. You should check that these figures have not changed since publication of this article. 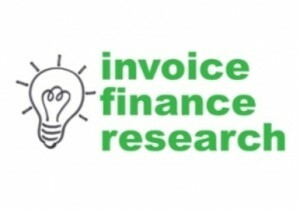 If you are from an invoice finance company, and you have review results that are not listed below, feel free to comment and I will happily add them. For the purpose of this exercise I ignored reviews on sites such as Glassfloor and Indeed, as these are employee reviews. I have also ignored reviews by brokerage sites. Google ave. rating 5.0/5.0 (2 reviews). Trustpilot score 9.3/10.0 (914 reviews). Google ave. rating 5.0/5.0 (5 reviews). 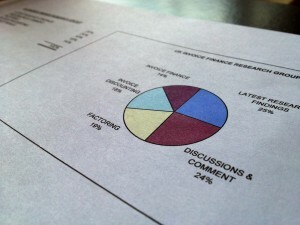 Their site mentions their own survey in Dec 16 in which 98% of clients were extremely satisfied. Google ave. rating 5.0/5.0 (1 review). Close Brothers Group are on Trustpilot. Trustpilot score 9.6/10.0 (71 reviews). Feefo score 4.7/5.0 (15 reviews). Google ave. rating 1.0/5.0 (4 reviews). Yell.com ave. rating 5.0/5.0 (1 review). Trustpilot score 4.8/10.0 (15 reviews). Trustpilot score 9.2/10.0 (24 reviews). Google ave. rating 2.7/5.0 (20 reviews). Google ave. rating 1.4/5.0 (11 reviews). Their site mentions their own survey in Sept 18 in which 99% of clients would recommend them. Lloyds Bank are on Trustpilot. Trustpilot score 9.1/10.0 (230 reviews). Google ave. rating 1.9/5.0 (9 reviews). Google ave. rating 3.2/5.0 (13 reviews). Google ave. rating 4.6/5.0 (11 reviews). Google ave. rating 1.4/5.0 (14 reviews). Feefo score 5.0/5.0 (16 reviews). Google ave. rating 2.0/5.0 (4 reviews). Trustpilot score 8.8/10.0 (37 reviews). Google ave. rating 3.7/5.0 (3 reviews). Google ave. rating 4.2/5.0 (10 reviews). Trustpilot score 6.8/10.0 (45 reviews). Google ave. rating 4.0/5.0 (5 reviews). Trustpilot score 9.6/10.0 (178 reviews). Google ave. rating 3.5/5.0 (8 reviews). Trustpilot score 9.1/10.0 (41 reviews). Google ave. rating 4.0/5.0 (4 reviews).